Michael W. Meister, W. Norman Brown Professor of South Asia Studies in the Department of the History of Art, is a specialist in the art of India and Pakistan. He has served as chair of the Department of South Asia Studies (SASt) and director of Penn's South Asia Center; he is Consulting Curator, Asian Section, University of Pennsylvania Museum of Archaeology and Anthropology; and Faculty Curator of the South Asia Art Archive within the Penn Library's South Asia Image Collection. His research focuses on temple architecture, the morphology of meaning, and other aspects of the art of the Indian sub-continent. 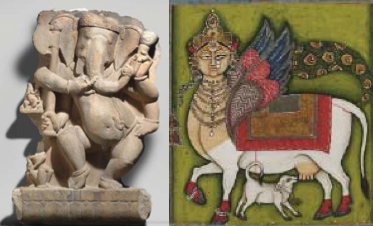 The 3rd Annual Anne d'Harnoncourt Symposium, Exhibiting India's Art in the 21st Century, co-sponsored by the University of Pennsylvania, History of Art Department, and the Philadelphia Museum of Art was held on September 30-October 2, 201l. Participants included Debra Diamond, Associate Curator of South and Southeast Asian Art, Freer Gallery, Washington D.Cs; Sonya Rhie Quintanilla, Curator of Asian Art, San Diego Museum of Art; John-Henry Rice, Associate Curator of South Asian and Islamic Art, Virginia Museum of Art; Katherine Anne Paul, Curator of the Arts of Asia, Newark Museum; and Professor John E. Cort, Denison University. Students in a spring 2009 Photo-archival Seminar worked on conceptual frameworks for displaying the Allentown Art Museum's collection of Indian art. This involved both the Jaipaul collection currently in the Allentown Museum and the Koblenzer collection promised as a future gift. An exhibition, Myths, Religion and Ritual: Indian Art from the Koblenzer Collection, drawing on this research was on display in Allentown from June 20–September 5, 2010. Students in a fall 2007 Halpern-Rogath Curatorial Seminar researched and developed an exhibition, Multiple Modernities: India 1905-2005, displayed in the William P. Wood Gallery, Philadelphia Museum of Art, from June 14-December 7, 2008, in association with an international retrospective, Rhythms of India: The Art of Nandalal Bose (1882-1966). 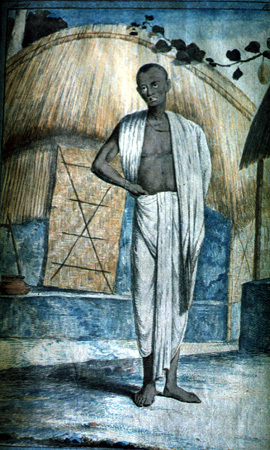 An exhibition of Modern Indian Works on Paper, Post-Independence Art from a Private Collection, was exhibited in the Arthur Ross Gallery in 2007. Tigar By the Tail! 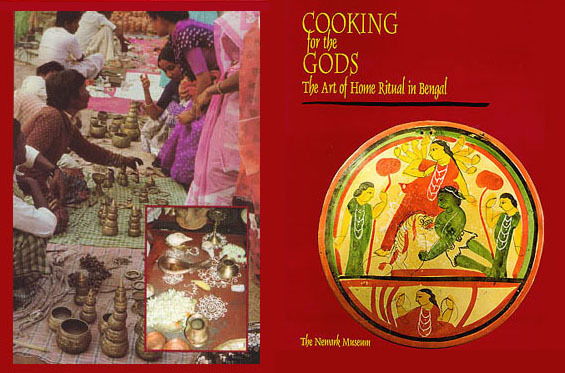 Women Artists of India Transforming Culture, scheduled for the Arthur Ross Gallery, fall 2008, was cancelled. Graduate students in the History of Art at Penn joined Professors Meister and Deborah Klimburg-Salter and students from the University of Vienna for a research tour of temples and monasteries in Himachal Pradesh in June 2004. For a report on this project and its scholarly outcome, see the article "Say No, and No, Until You Have to Say Yes" in the spring 2006 Penn Arts & Sciences Magazine. Proceedings of the international symposium on Traditional and Vernacular Architecture, coordinated by Michael W. Meister with Deborah Thiagarajan and edited by Subashree Krishnaswami, was published by the DakshinaChitra of the Madras Craft Foundation (2003). The Mary B. Wheeler Image Collection under construction at Penn has a new and expanded Website as part of Penn's on-line Image Collection. A catalogue and exhibition of Intimate Worlds: Masterpieces of Indian Painting from the Alvin O. Bellak Collection documented a major gift of Indian miniature paintings to the Philadelphia Museum of Art. 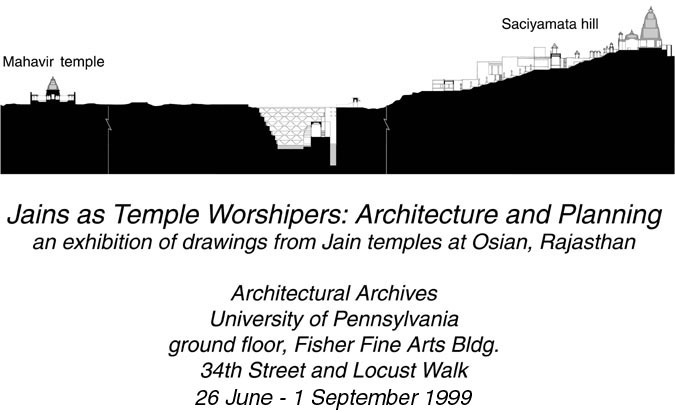 An exhibition "Jains as Temple Worshipers: Architecture and Planning," one result of the "Continuities of Community Patronage" project, was on display in the Architectural Archives at the University of Pennsylvania in conjunction with an exhibition of Jain Art at the Philadelphia Museum of Art. 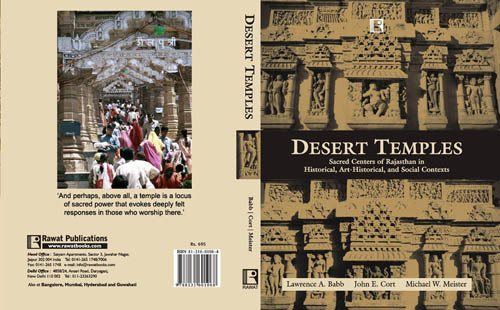 Desert Temples: Sacred Centers of Rajasthan in Historical, Art-Historical, and Social Contexts, co-authered with L. A. Babb and John E. Cort, Jaipur: Rawat Publications, was published in 2008. 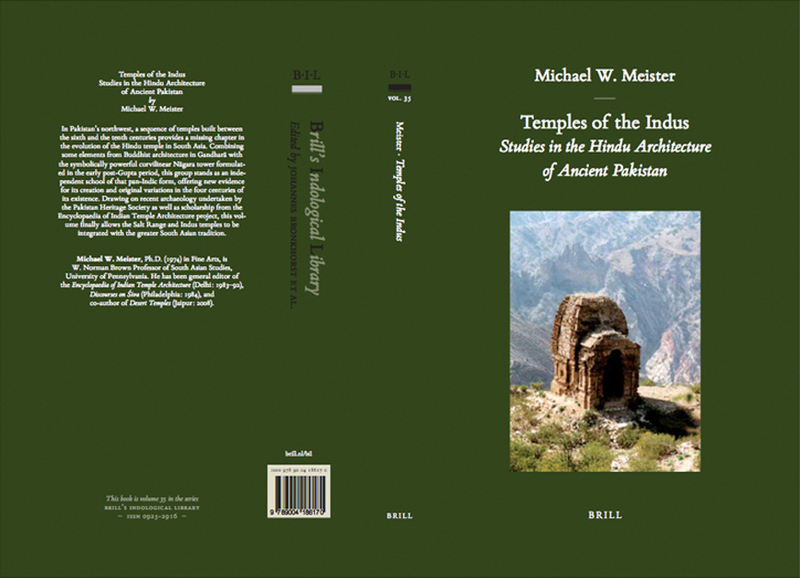 Temples of the Indus: Essays in the Hindu Architecture of Ancient India, Leiden: Brill, was published in 2010. 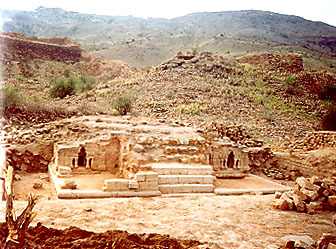 A previously unknown temple was excavated in North Kafirkot, Kyber Pakhtunkhwa, Pakistan. 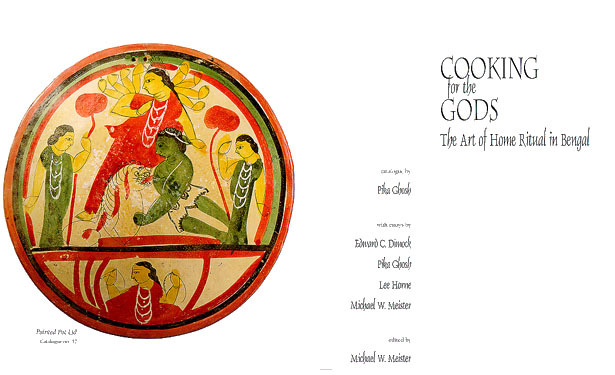 The New York Times reviewed the Cooking for the Gods exhibition, curated by Professor Meister and Pika Ghosh. The New York Times reported scientific evidence that heat is emitted by India's sacred lotus. Beth Citron, Mandhavi Mehta, and Pushkar Sohoni joined Professors Meister, Deborah Klimburg-Salter, and graduate students from the University of Vienna for a study-tour of temples and monasteries in Himachal Pradesh in June 2004, with support from the University Research Foundation and the Department of the History of Art. Nachiket Chanchani has recently returned from a year's field work in the Himalayan foothills of India and comparative travels elsewhere, with fellowships from the Asian Cultural Council, Akshara Foundation, and a Goldman Grant from the History of Art Department. He received a fellowship awarded by the Charles Wallace Trust and the Jawaharlal Nehru Trust to spend two months in the United Kingdom in the coming year to continue work on the Vasanta Vilasa. His dissertation “Fordings and Frontiers: Architecture and Identity in the Central Himalayas (c. 7th-12th Centuries CE)" was submitted in September 2012. He has been appointed Assistant Professor at the University of Michigan, while also holding a post-doctoral fellowship at the Freer in Washington D.C.for a year. Divya Kumar has completed her qualifying exams in South Asia Studies and has received an AIIS Language Fellowship to study in Madurai this summer (2013). She will also be presenting a paper in a seminar in Sri Lanka. Yael Ricecompleted her dissertation “The Emperor’s Eye and the Painter’s Brush: The Rise of the Mughal Court Artist, c. 1546–1627” in 2011 and has received a three-year post-doctoral fellowship at Amherst College. Beth Citron completed her dissertation "Contemporary Art in Bombay, 1965-1995" in 2009; her dissertation research in Mumbai was supported by a Fulbright Fellowship. She corrently is Assistant Curator at the Rubin Museum, New York City, where she has organised a series of three exhibitions on aspects of contemorary art in South Asia. Shaman Hatley, a student in Religious Studies, completed his dissertation, "The Brahmayamalatantra and Early Saiva Cult of Yoginis," in 2007. Melissa Kerin completed her dissertation, "Re-tracing Lines of Devotion: Religious Identities and Political Ideologies in Fifteenth-Sixteenth-Century Western Himalayan Wall Painting" in 2008. She has recently been a Visiting Scholar and Assistant Professor at William and Mary. Michael Linderman, a student in South Asia Studies, completed his dissertation, "Charity’s Venue: Representing Indian Kingship in the Monumental Pilgrim Rest Houses of the Maratha Rajas of Tanjavur, 1761-1832," in 2009. He currently is Assistant Professor of Asian Studies, Department of Languages, Literatures and Cultures, Seton Hall University. Meredith Malone wrote her M.A. thesis in the History of Art on "Sacred Icons: Secular Peddlers, Contemporary Chromolithographic Hindu God Posters" and completed her dissertation on “Nouveau Réalisme: Performative Exhibition Strategies and the Everyday in Post-World War II France” in 2006. Mandhavi Mehta completed her dissertation, "The Mouse Who Would be King: Innovating Tradition in the State of Chamba," in May 2011. She is currently teaching in Simla, Himachal Pradesh. John Henry Rice completed his dissertation, "Kanara Temples: Architectural Transaction on the Periphery of Empire," in 2010. He was appointed deputy curator of South Asian and Islamic art at the Virginia Museum of Fine Arts, Richmond, in 2008, and was responsible for the recent reinsallation of its new South Asian galleries. Pushkar Sohoni completed his dissertation, "Local Idioms and Global Designs: Architecture of the Nizam Shahs," in 2010; his research was supported by a fellowship from the American Institute of Indian Studies. In 2010-11 he held a post-doctoral fellowship at the University of British Columbia, Vancouver. He is now South Asia Bibliographer in the Van Pelt Library, University of Pennsylvania. Chandreyi Basu, Associate Professor with tenure in the Art History Department at St. Lawrence University, has published a catalogue of the David Nalin collection of Gandharan art, Displaying Many Faces, Art and Ghandharan Identity. Beth Citron teaches a course on "Contemporary South Asian Art" at NYU as well as organising a series of exhibitions at the Rubin Museum where she holds the position of Assistant Curator. Pika Ghosh, tenured Associate Professor at the University of North Carolina, Chapel Hill, has published articles in Res, Artibus Asiae, and Expedition. Her manuscript for Temple to Love: Architecture and Devotion in Seventeenth-Century Bengal received the AIIS Edward Cameron Dimock, Jr. Prize in the Humanities and was published by Indiana University Press in 2005. Katherine Hacker holds a tenured position at the University of British Columbia, Vancouver, has recently published articles in Res and Artibus Asiae and has a book manuscript redy for publication. Melissa Kerin held a Mellon/ACLS Recent Doctoral Recipients' Fellowship in 2008-09. The exhibition "A Collector's Passion," for which Melissa authored the catalogue Artful Beneficence: Selections from the David R. Nalin Himalayan Art Collection, was on display at the Rubin Museum of Art, New York City in 2009. She has been appointed to a tenure-track position as Assistant Professor, Washington and Lee University, Lexington VA, from fall 2011. For her recent reflections on Early Himalayan Art click here. Darielle Mason, Stella Kramrisch Curator of Indian and Himalayan Art at the Philadelphia Museum of Art, organised the exhibition and catalogue, Intimate Worlds: Masterpieces of Indian Painting from the Alvin O. Bellak Collection, and more recently Kantha: The Embroidered Quilts of Bengal from the Jill and Sheldon Bonovitz Collection and the Stella Kramrisch Collection of the Philadelphia Museum of Art, for which she won the College Art Association's 2011 Alfred H. Barr Jr. Award. Suchitra Mattai's M.A. thesis, "Reclaiming the Icon: A Study of Space and Ideology in Contemporary Indian Art," for the South Asia Regional Studies Department has been completed and she has received an MFA from the Graduate School of Fine Arts. She is currently on the faculty of the College of Saint Benedict/Saint John's University. 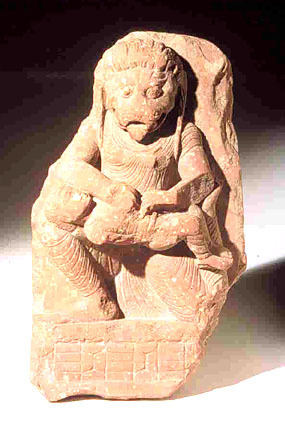 John Henry Rice, Associate Curator at the Virginia Museum of Art, has published an extensive study of the University of Pennsylvania Museum's remarkable Later Chalukya medieval sculpture of Brahma, in Artibus Asiae. Tamara Sears has been appointed Assistant Professor in the Department of Art History at Yale. She has published articles in South Asian Studies and Art Bulletin. 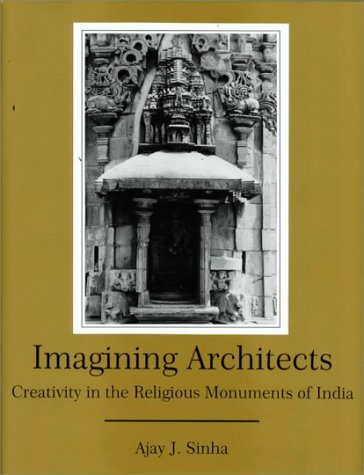 Ajay Sinha, Professor and past Chair of Art History in the Department of Art and Art History at Mount Holyoke College, has published Imagining Architects: Creativity in the Religious Monuments of India with the University of Delaware Press. He has also recently co-edited a book on Bollywood films. Anna Sloan taught at Moore College of Art and the University of Pennsylvania as a graduate student and published Adam's House in the Black Belt, an artist's book printed by Landfall Press, then held a post-doctoral fellowship at Smith College. As a visiting Assistant Professor there, she organised an exhibition The Way I Remember Them, Paintings of Nusra Latif Kureshi. 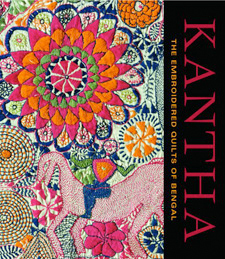 She also helped organise an exhibition, Karkhana, reviewed in The New York Times, and was a visiting professor at Mount Holyoke College in 2005-06. Pushkar Sohoni has received a post-doctoral fellowship at the University of British Columbia, Vancouver, for 2010-11. Nadine Zubair, whose M.A. thesis, "Gandhara Architecture and Its Representation," was completed for South Asia Regional Studies in 1997,who had returned to graduate studies at Florida State University, has recently applied to a Ph.D. program in England to continue her commitment to the archaeology of South Asia. 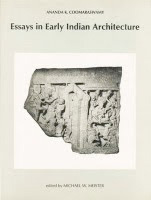 Coomaraswamy: Early Indian Architecture and Essays in Architectural Theory, New Delhi: Indira Gandhi National Center for the Arts; Renou, "The Vedic House," Res:Anthropology and Aesthetics; "Notes Toward the Study of Representations of Early Indian Architecture, Kanganhalli" in Prasadam; and "Early Architecture and Its Transformations: New Evidence for Vernacular Origins for the Indian Temple," in The Temple in South Asia, ed. Adam Hardy, London 2007, have been published. 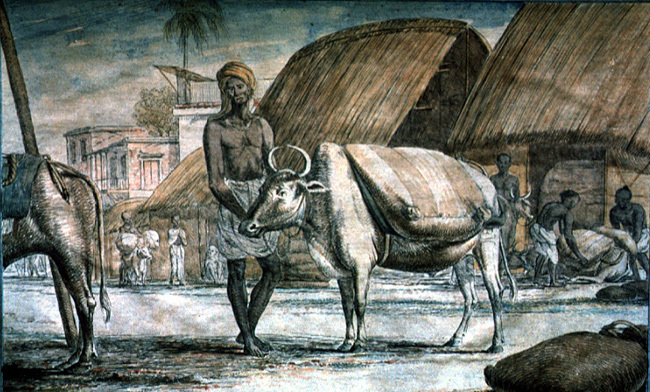 The J. Paul Getty Foundation Interpretive Research project, "Continuities of Community Patronage," undertaken with John Cort and L. A. Babb, and the thematic seminar sponsored by the Center for the Advanced Study of India, have led in part to two edited volumes, Ethnography and Personhood: Notes From the Field (Jaipur 2000) and Multiple Histories: Culture and Society in the Study of Rajasthan (Jaipur 2002). A preliminary report on results of the Getty project, "Self-Preservation and the Life of Temples," is available on-line. 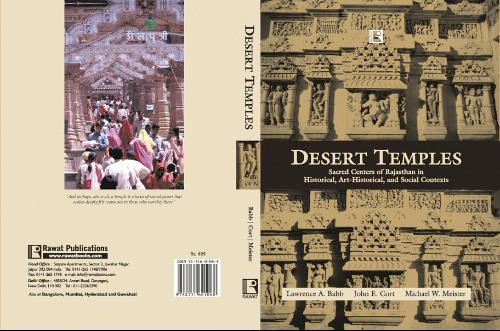 A volume of essays documenting this project, Desert Temples: Sacred Centers of Rajasthan in Historical, Art-Historical, and Social Contexts, Jaipur: Rawat Publications, was published in April 2008. Mary B. Wheeler Special Image Collection and its new site as part of Penn's Image Collection. Scaffold A linked scaffold of India-related architectural information created by Ph.D. architecture student, Patrick George. Text and illustrations for Man and Man-Lion: The Philadelphia Narasimha (Artibus Asiae 56 [1996.3]: 291-301). A Madison South-Asia conference lecture given by Professor Meister on "Cosmos in a Teacup" with text and images attached. The final published version, "The Unity and Gravity of an Elemental Architecture," is below. Self Preservation and the Life of Temples, presented at the ACSAA symposium, Charleston, S.C., provides a preliminary report on the Continuities of Community Patronage project. Discovery of a New Temple on the Indus, Expedition 42.1 (2000): 37-46. The Unity and Gravity of an Elemental Architecture, from Prakrti: The Integral Vision, 5 vols., ed. 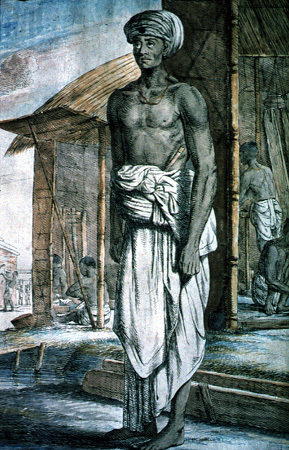 Kapila Vatsyayan; vol. 3, The Agamic Tradition and the Arts, ed. Bettina Baumer. New Delhi: D. K. Printworld, 1995.